How seemingly unconnected incidents are all linked in hindsight !! When Aon Hewitt’s diversity leader Nichole visited India in 2014 for a client meeting, I got a chance to meet her and we enjoyed talking about challenges that Indian women face. Strangely enough, that was the only client meet that I could attend since I left Aon Hewitt in March of this year. Nichole and Daniella Levitt met in the US and got talking about a book that Daniella was writing on women taking risks and moving ahead in their lives and careers. She was researching and interviewing women across the world and Nichole suggested that she reach out to me. Daniella reached out and Aon agreed to my participating in the interview for the book. The book got published recently and Daniella has sent a copy to Gurgaon, but yesterday I found the book on Kindle and bought it. I was so excited. I knew already that Daniella will have very practical suggestions and a very no-nonsense approach to the topic of women taking risks. I loved my interaction and interview with Daniella. She had great questions and a very clear view of the shape the book was to take. Seeing my words in print for the first time is a big high .. Also because I hope to write several books myself. Thanks to Nisha, I started to blog and just love writing. Hopefully as many of my friends keep asking the books shall happen too. 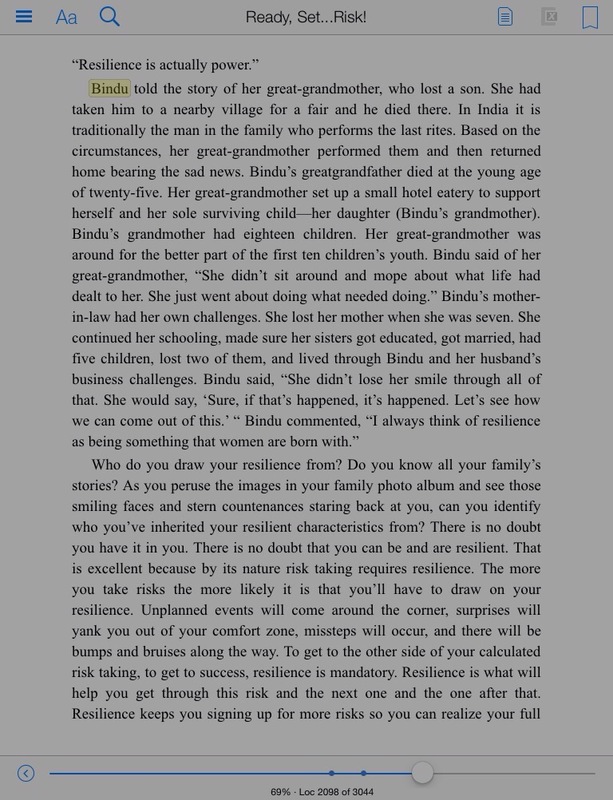 Daniella Levitt’s book is titled “Ready, Set…Risk!”. It’s available on Amazon Kindle but am not sure if the hard copies have reached Indian book stores yet. I am yet to read it fully, and will share my review shortly once am done reading it. My best wishes to Daniella for this book to be a super success – taking risks is an important aspect of success, and for women the risks are different. 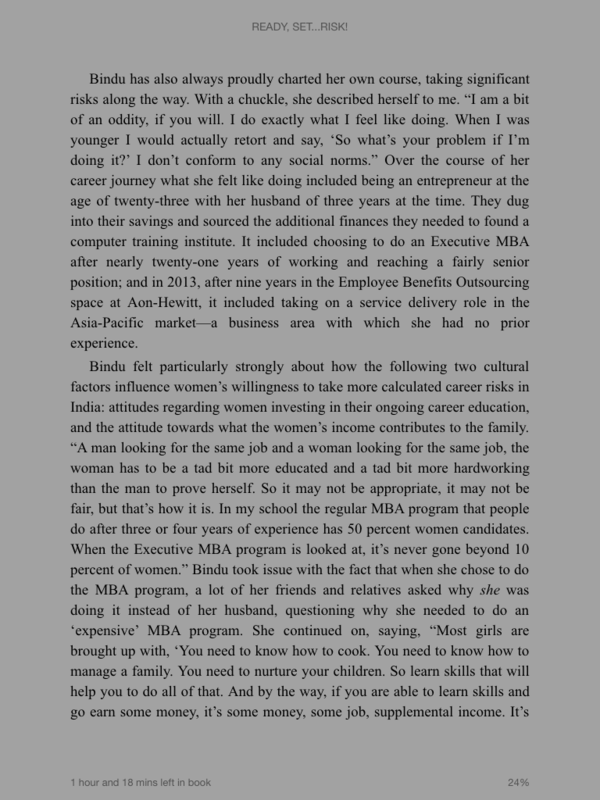 Just pasting a picture of a couple of pages with excerpts from my interview.